If you notice a crack in your foundation, you might be wondering how concerned you should be about it. After all, a crack doesn’t necessarily mean that you have serious structural issues, right? This may be true, but you shouldn’t completely ignore foundation cracks because they could indicate that you need to have foundation repair done. You should call a company that specializes in foundation repair serving San Antonio to come and take a look. Here are the dangers of ignoring foundation cracks. 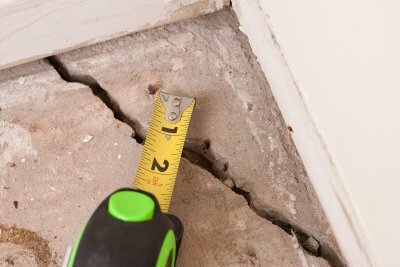 Cracks may indicate a problem with the foundation of your home. There are many reasons for foundation cracks with the most serious one being that your foundation has shifted and needs foundation repair. When your foundation moves, it will often cause cracks both in the foundation as well as within the interior and exterior walls of your home. By catching a foundation problem early, you can eliminate the chances of it becoming a very costly problem for you. The sooner you have a foundation repair company fix the problem, the sooner you will be able to sleep well at night knowing your foundation is strong again. Cracks may cause additional problems with your foundation. Outside of the fact that a crack in your foundation can indicate a foundation problem, the crack itself can also cause more problems for you in the future. Water will often find its way into a foundation crack and, when this happens, it can seep down into your foundation and make it even weaker than it already is. If this happens, you may go from having a minor foundation repair on your hands to having a much more serious problem that will need to be dealt with immediately. Cracks may get worse over time and create more cracks in your foundation. Foundation cracks are not going to go away. In fact, one crack will usually lead to two cracks and, over time, your foundation will develop more and more cracks in it. You should address cracks as quickly as possible and have a contractor come to your home to fix them.